Although the United States tried to stay out, America entered World War I on the side of the Allies in 1917. Why this happened and the effects of the war on the home and military fronts is analyzed. 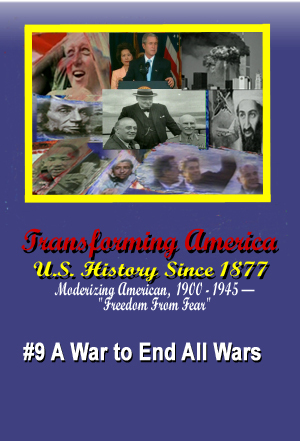 President Wilson's plans for a peaceful world and the Senate’s refusal to go along with his vision is examined.